The lavish, inspiring beauty of the Lago Maggiore (the Greater Lake in English) is but the most evident of the many fascinating features of these banks, where for centuries people from all corners of Europe have met to trade and exchange, giving rise to a peculiar local heritage. Convieniently sitting both astride the Novara and Verbania districts and the border between Piedmont and Lombardy, as well as being on the frontierland between Italy and Switzerland, this region has always been naturally given to cosmopolitan relations, having represented through the ages a thriving hub for cultural contamination. While rejoicing at the most well-known sights of this region – Stresa, the Borromean Islands and Cannobio, or when touring across the villages laid along the lakeside, one cannot help let such restful beauty sink in, nor enjoy the lively buzz of the industrious locals. The long-dating main town of the Lago Maggiore, Stresa – the Queen of the Lake- is a miniature capital city boasting broad, picture-perfect boulevards, a strand of eighteenth-century grand hotels lining up along the banks and around the minute old town, nested in a breath-taking scenery enframed by the steep mountain ranges in the background. Stresa came to fame at the turn of the 19th century after the opening of the railway tunnel Sempione (1906): Stresa was to rapidly turn into the most fashionable resort for the European aristocracy and the cosmopolitan belle epoque upper-class – a must to any Grand Tour worthy of its name. There was Stresa’s golden age – when nothing less than the legendary Orient Express would stop and pick you up right at the town’s railstation. A time which has never quite faded and is indeed still there to savour as one looks up at the glorious art-deco facades facing the lake or strolls in the blooming, colourful lakeside gardens, competing with the bright shades of the masterful, perfectly preserved art-nouveau stained-glass windows embellishing the city streets. Besides having preserved its heritage and its past glory, Stresa hasn’t fallen short of drawing scores of visitors for its present-day cultural life, offering as it does a rich calendar of events and a lively summertime nightlife. Stresa Music Weeks are presently among the most renowned international classical music festivals, hosting every year the best names among contemporary artists. Live jazz is as popular and it pleasantly livens up the old town’s evenings, as visitors and locals indulge in prime selections of local food and wine. The Isola Madre hosts a long-dating, 20-acres English-style garden where to marvel and behold at the endless varieties of exotic animals and plants – a truly Romantic touch far from clichés. The Isola Bella owes it fame to the 17th century Borromeo Palace, a striking sight in its well-preserved interior design, its paintings (first and foremost Luca Giordano and Tempesta) – but just look out the window at the awesome landscape reaching as far as you can see, to the snow-capped Alps, then zooming in, the high hills and finally the descent into the crystal-clear waters around you. The sumptous gardens are an impressive setting including an actual pyramid and those caves late 1700’s French writer Stendhal had so much come to like. Besides him, among famous guests it is of course needed mentioning Napoleon – who stopped here in 1797 to rest and recover after the legendary Italian Campaign – and,a century later, the meeting of the heads of state of major European countries who gathered for the 1935 Stresa Treaties, in the vain pursuit of a fading balance for a Europe by then already on the brink of WWII. Last but not least, the Isola dei Pescatori, an exquisitely quaint small community known for its street craft market, its ancient houses, alleys and streets and the ruins of San Vittore Romanesque church. 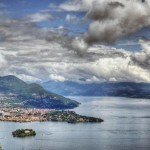 Astraddle the Swiss-Italian border lies Cannobio, a smart choice to connoisseurs and international tourists alike. Its multiple award-winning shores and waters, the old town and the surrounding inland – which was also awarded by the Italian Touring Club. Having been a hub for commerce and trades allegedly dating as far back as pre-Roman ages, this is a remarkably rich spot for an everything-but-dull trip backwards in history, which still glows off the the stonewalls of the city halls and lives on in the local lore – as for the peculiar survival here of the Ambrosian Catholic liturgical rite, also known as Milanese rite since it is precisely in these lands that it flourished under the centuries-long rule of the nearby Milan lords. Besides offering relax, leisure and lake-shore resorts, nature and history hiking are popular in the valley area – especially the steep hike up to Carmine Superiore, an intact medieval hamlet only reachable on foot. 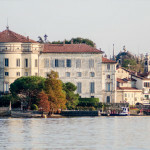 Boat trip to the Isole Borromee: three jewels laid out over the calm lake waters offer amazing botanic gardens and exotic animals, traditional markets and craftmanship, gourmet and typical cuisine. Hike by walk or bike: the lakeside is the starting point of a number of trekking paths and routes leading through the surrounding valleys and up to the mountains, allowing to nature lovers to plan a different kind of experience everyday. Enjoy the shores…and the wine! Cannobio, nearby Cannero and many other spots to just watch with unceasing wonder at the banks on the other side, the landscapes above – most certainly while also sipping among the best reds and wines in the world, being Piedmont a name needless of introduction for vintage tradition and quality. 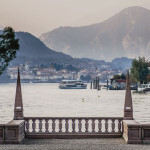 Spend a night in Stresa: the surprising pocket-size capital of the lake region is a once-in-a-lifetime setting for a romantic elope or even just for a night to spend in another era, strolling under fairy-tale-like palaces accompanied by genuine live music nights and selected scenes. Discover the lake: exploring the lake is safe and entertaining – both private and public boating and ferry services are available to find out your own favourite spots.